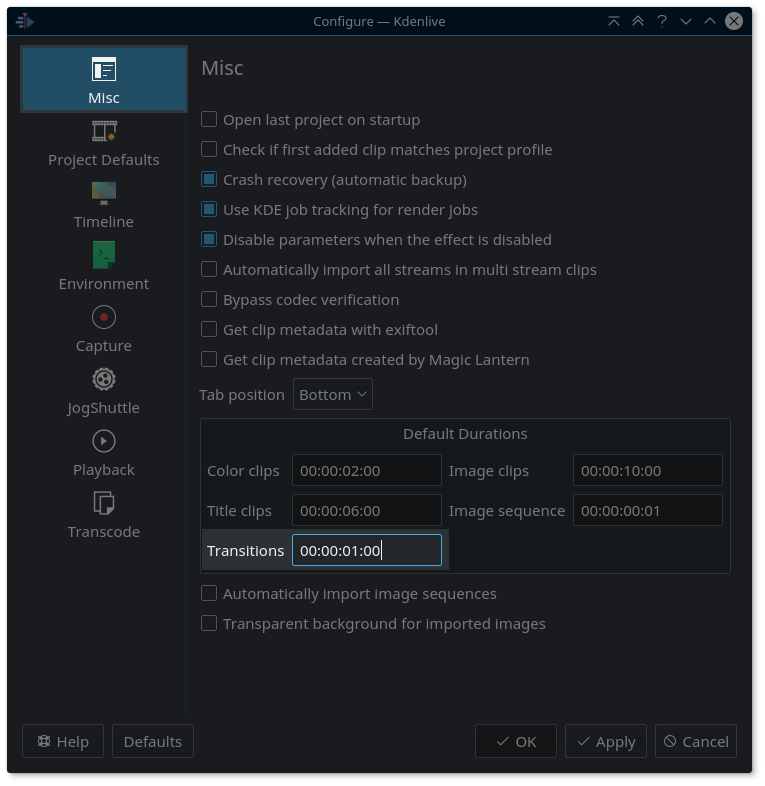 Since Kdenlive 16.08.1 you can now configure the default duration for all newly created transitions. Before this, all new transitions were always 65 frames long – and this translated to varying default durations, depending on a project’s frame rate. This new configuration option should appeal all those users who work a lot with transitions. Go to Settings > Configure Kdenlive…, then select the Misc category. Under the heading Default Durations you’ll now find the new fifth option to configure the default duration for newly created transitions. Enter a duration in the usual format hh:mm:ss:ff. Please note that the frames (:ff) field will be interpreted on the basis of the current project’s framerate. In contrast, the other fields hh:mm:ss are independent of the framerate.